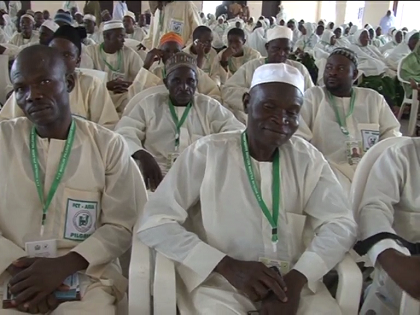 The first Batch of intending Muslim Pilgrims from the Federal Capital Territory are set to depart the Nnamdi Azikiwe International Airport, Abuja, later tonight to perform this year’s Hajj in Saudi Arabia. The FCT Minister of State, Olajumoke Akinjide who flagged off the Hajj Operation at the Permanent Hajj Camp in Abuja, enjoined the intending pilgrims to pray for peace in Nigeria. 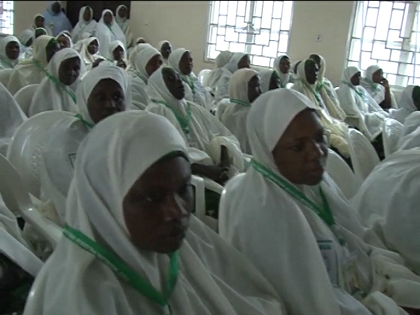 The first Batch has Five Hundred intending Pilgrims on Board.